Meet Jason Hansvoort, a single New Yorker with a curious knack for surviving near-death experiences. Wistful about college, apprehensive about the future, he's currently flailing around in post-college limbo as low man on the totem pole at one of Madison Avenue's 'Big Five' ad agencies, impatiently waiting for the Next Thing to happen. 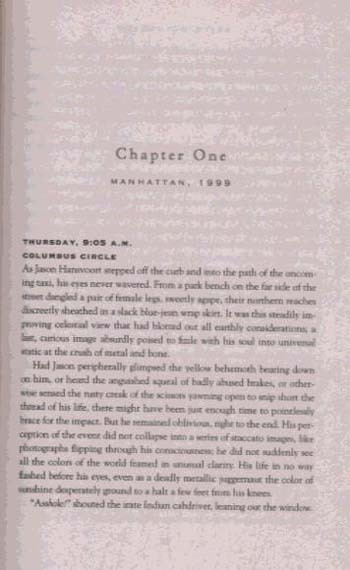 And then one day he's approached by Amanda, an attractive young law student and one of the last members of the Manahata, the Native American tribe who sold Manhattan Island to the Dutch almost four hundred years ago. She's spent years on the trail of a lost document that supposedly gave ownership of Manhattan to a seventeenth-century benefactor and all his descendants. She believes Jason's the last of this line...and therefore heir to the island of Manhattan and everything on it. If they can find the deed, that is. Jason's sceptical...but enchanted enough to play along. If Jason and Amanda can indeed locate the deed, the consequences will be tremendous and far reaching: grave for millions of landowners and mortal for every title insurance company on the Eastern seaboard. There are literally billions at stake, and when a dysfunctional New York City crime family looking for a big break picks up the scent, it places Jason's streak of surviving near-death experiences in peril. Kate White author of the bestselling If Looks Could Kill What a delicious read! 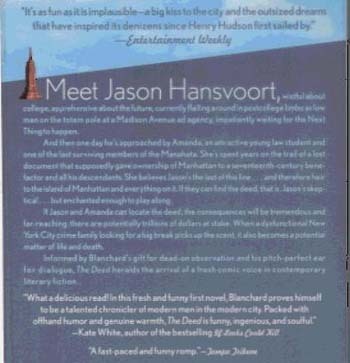 In this fresh and funny first novel, Blanchard proves himself to be a talented chronicler of modern men in the modern city. 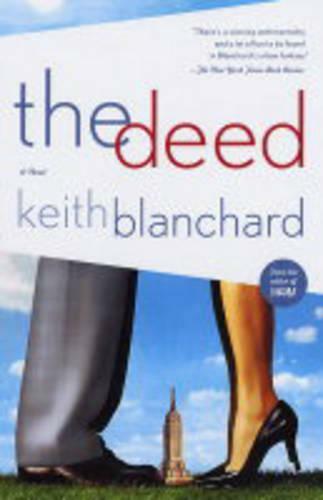 Packed with offhand humor and genuine warmth, The Deed is funny, ingenious, and soulful. Peter Lefcourt author of Eleven Karens A funny, smartly-written and engaging book -- The Sotweed Factor meets The Gang That Couldn't Shoot Straight.